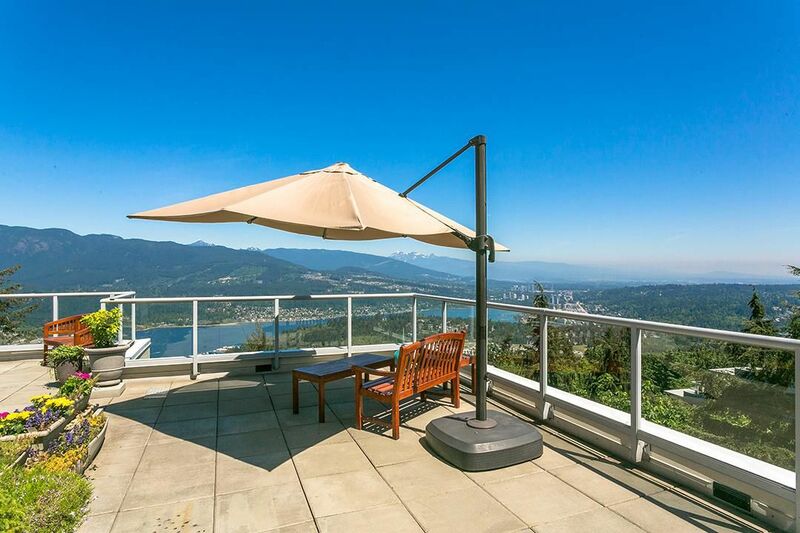 PENTHOUSE VIEWS - LOCATION - DECKS. This mega penthouse is the combination of two legal strata lots perched on most of the TOP 10th floor. A total of FIVE patios - North to the Pacific Ocean with water and mountain views, sunny South facing terraces and East with city views. The total deck spaces measure over 900 sq.ft. Entire walls of windows inside, and the over height ceilings give the suite an expansive feeling. Also included 2.5 parking stalls, 2 lockers, dogs (woof)/ cats (meow)/ RENTALS/ and BBQ's (sizzle) all allowed. Well managed building with a fully repainted exterior in 2017 and a healthy contingency reserve, immaculately landscaped grounds, concrete construction, floor to ceiling glazing and top quality interior finishing touches. Call for your private appointment.